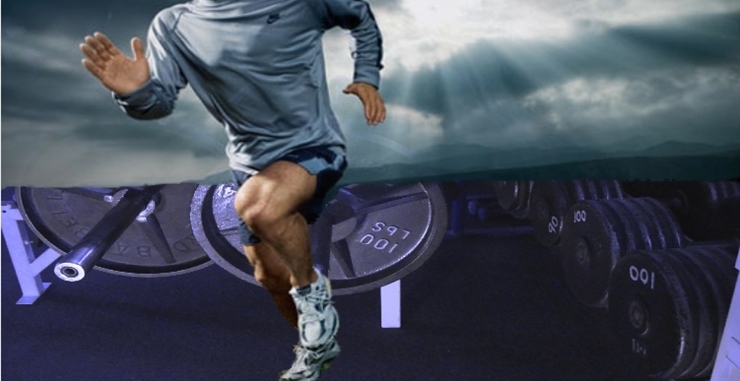 Welcome to over 50 weight training; as we exit our 40’s and step into the 50’s, the body naturally begins to slow. This slowing process and the storing of protein and other metabolites within the muscles: is the beginning of this degenerative process that begins in the early 20’s and continues each year. There is an actual medical term for this called (sarcopenia). So What is Sarcopenia, And How Can I fix It? Sarcopenia is: merely a laboratory term named by the people who discovered it years ago, it sounds a bit scary, but is something that is obvious in life. Over 50 weight training is about how to overcome the degenerative effects of Sarcopenia; which touches us all in life. So many men and women have been preoccupied in their 30's and 40's with raising children, paying bills, keeping their businesses going, or working full-time jobs to make ends meet. It is never ever too late! 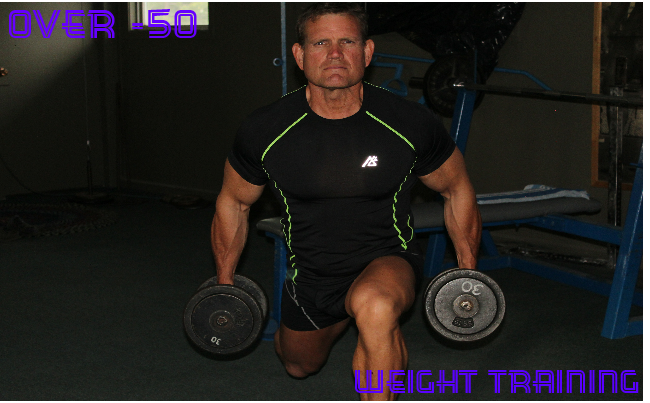 Over 50 weight training is a great way to condition and strengthen your entire physique. Weight training 2 to 3 days a week, training the major body parts at least once a week, with some (core) training exercises, meaning: stomach/midsection and lower back, is a great place to start. Weight training will slow the natural occurring degeneration of muscle tissue and bone density, essentially Increasing muscle mass and speeds metabolism, a little like when we were younger, but not with all the hormonal issues, thank God! Having the body hungrier and eating more often, is a sign of an increasing metabolism, this is what you want. The body is using and storing more macronutrients as muscle mass and bone density begins to return again. To go back and drink from the fountain of youth once you’re over 50; requires a great weight training, strength-based exercise program that fits your lifestyle. Check out the highlighted-link to see all the great exercises that are geared towards this age and beyond. I've compiled a small explanatory training exercise overview of Weight training exercises that would be beneficial to increasing muscle size and strength over 50. Before you begin regular weight training, maintenance sets, especially if you're a newcomer to pumping iron. Please, always be sure to warm-up thoroughly. Start with little or no weight on each exercise, to fully warm up the joints and muscle bellies that you will be training in your workout, know your lifting limit and train within it! Compound, multi-joint exercises are going to be what you want to focus your attention on the most. These exercises usually include anywhere from 2 to 3 different muscle groups assisting throughout the exercise. Note, as mentioned above: if you wish to look a little deeper at exercise mechanics and illustration see: weight training over 50. E.g. the dead-lift is a combination of the arms, lower/upper back and legs all coming together to perform the lift. Front upper body: barbell bench press, 1 - 2 sets, flat dumbbell press, 1 - 2 sets, flat Smith machine presses 1 - 2 sets. The chest, shoulders and triceps all come into play on each of these exercises, stimulates a great multi-joint/muscle workout. Upper Back: alternating dumbbell rows, seated rowing or LAT cable pull-down's are great free weight and machine based multi-joint exercises for upper back. Upper arms: barbell bicep curls sets 1 - 3 alternating dumbbell bicep curls 1 - 3 for the rear of upper arms the triceps; triceps Pulley push downs sets 1 - 2 or chair dips sets 1- 2 reps 8 - 10. The triceps, shoulders, chest and back muscles all come into play in most of these exercises to make them great for increasing muscularity and strength. Lower body, Upper Legs: Smith machine squats 1-2 sets, leg extensions 1-3 sets, or walking dumbbell lunges 1 to 2 sets 8 - 10 reps each leg. Again, these are all great exercises, to stimulate the quads, glutes and hamstrings. Is cardio important after 50? 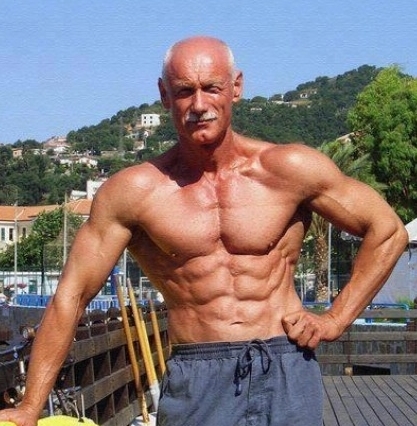 Cardio at any age isn’t just important, it’s essential to have a strong life-sustaining cardio pulmonary system. Performing cardio sessions alone does and will not rejuvenate muscularity or tendon strength. For this, you have to commit to pumping iron, whether you use machines or free weights, is up to you. You have to increase force with resistance to challenge yourself with more than just body weight, e.g. (running). If you are over 50 weight training, looking to further your education, a combination of machines and free weight training, with some midweek cardio is a great practical solution. As age begins to creep into our fountain of youth, the most important thing you can do, before you step into your weight training routine is: be sure to warm-up. A good warm-up while stretching is important in preventing injury or joint stiffness. Don’t try to preform them all, only what you feel is needed. Light cardio 5 – 8 mins. Are all great ways to warm-up and stretch to avoid muscle stiffness if your over 50 weight training. To avoid tight, stiff muscles on days off, spend 5-8 minutes just stretching the legs, shoulders lower back etc. where ever you’re experiencing joint and muscle stiffness. This is normal, even at a conditioned level, this can still come on as we age - stretching greatly reduces body stiffness. Diet and nutrition for weight training over 50 shouldn’t be complicated, but taken seriously. Understanding macro nutrients how they work and what foods to find them in is important at any age. should be ingested in males, of approximately 1 g per pound of body weight, if you’re over the age of 50 and active. Also note: everybody’s bodies are different, how they metabolize macronutrients, including proteins can vary greatly, I personally have to be careful not to ingest too much. It takes the average male 2 to 3 hours to process 25 gm., monitor your intake closely and don’t overeat just to get more protein, remember were over 50. The body is not going to process extra food and macronutrients like that of a 25-year-old. This commonly slows the metabolism, as it makes the digestive system and liver work harder. Combating this is easy, simply; back off the intake of protein, if you find you’re running into this. If your over 50 and strength training you do need protein to assist with muscle repair. Allow yourself a protein shakes per training day. try to get most of your protein from whole food sources such as: lean cuts of beef, fish, egg whites, chicken, low fat yogurt etc. 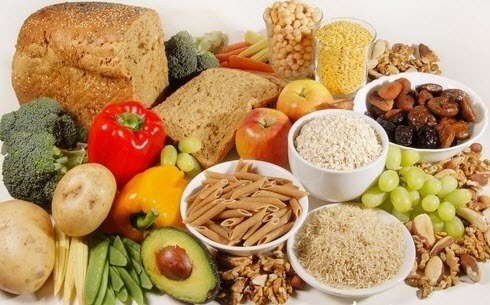 should make up part of your plate, but the right carbs are the ones to include in your diet, these are the ones that provide the best and longest lasting fuel source for workouts. Yams, sweet potatoes, and regular potatoes baked not boiled. Whole wheat pasta or bread in moderation, (once a week). come from sources such as: salmon, halibut sardines herring, or avocados etc. Some of the better cooking oils are oleic, sunflower, Sesame and olive oil. from the seed family: sunflower seeds, flax seed, peanuts and almonds unsalted, are all good sources of healthy fats and protein. Just don’t over indulge. One of the most important but underachieved requirements of diet and weight training over 50 is: stay hydrated! Drinking enough water is important, especially as we age, that gets overlooked. Depending on the climate you live in, if it’s warm and dry, 6-8 glasses a day is essential. Entering our 50's and taking up weight training will be one of the most rewarding and beneficial investments you can give to yourself athletically. That may sound a little heavy-handed, but honestly, it is true! I can safely say I have tried many different sports and exercise programs over the many decades of being involved in fitness. But, nothing helps to build, rejuvenate and replace the effects of aging, like that of weight training. Can I explain it all in one article... probably not. I would like you to know that taking up weight training into your 50,s, 60,s even 70's and beyond will always give back far more than it ever takes. Your results will always reflect the effort that you're willing to put into it. Don/t be afraid to dream and create a Goal of the physique you would like to build, just be realistic with it. Make a plan of how you wish to achieve it and keep it in the forefront of your mind and never give up on your dream of building a stronger you. I hope you have found some value in over 50 weight training. If you have a question or comment feel free to Contact me Good luck.